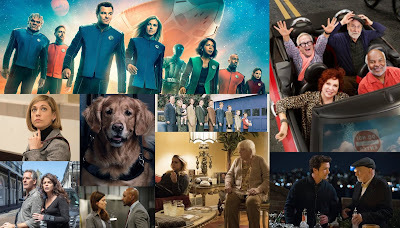 This fall, CBS is set to premiere the hour-long series Wisdom of the Crowd, S.W.A.T., and SEAL Team, as well as the half-hour series 9JKL, Young Sheldon, and Me, Myself & I. As the season gets in gear this week, here's a look at some of the pressing issues across the network that will be interesting to follow over the course of the season. By now, it's no secret that the latest television revival is none other than The King of Queens. Well, more or less. With CBS's shocking decision to cut its relationship with actress Erinn Hayes (and effectively killing her character off the planet of TV Earth), the second season of Kevin Can Wait is getting a major cast shake-up this year. Kevin James' former Queens co-star, Leah Remini, is joining the network's #1 new comedy of 2016-17 as a series regular. This caused a lot of backlash online from fans and from people who have never seen the show but know of the stars' intimate TV marriage history. Remini did provide a slight uptick in the ratings for the two-part season finale in May, but it's unclear how much of an impact she will have on the show's ratings in season two. 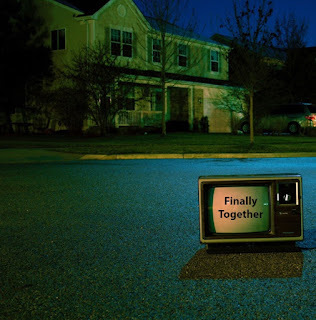 It's possible that the reunited on-screen couple will wear thin on viewers, and/or the firing of the original lead actress will leave a bad enough taste in viewers' mouths that they won't give the new (or, rather, old) pairing a chance. However, Remini has had a significant career resurgence following her highly publicized departure from the Church of Scientology, which has ignited a media firestorm and provided her with a platform that has spawned successful books and, most notably, a popular TV show on A&E. The sitcom is definitely going to see a second-year decline, as it won't get another launch out of The Big Bang Theory like last year, and the initial interest that people may have had in Kevin James' return to TV won't fuel its first few airings this time around. However, I do think that Leah Remini's casting will help to soften the blow a bit. CBS obviously had a reason to make this decision, they've gotten a lot of media coverage over it, and it'll either blow up in their faces or carry them safely into another two seasons at least. CSI and The Mentalist ended in 2015, Person of Interest and The Good Wife went off the air in 2016, and somehow zero long-running dramas were given pink slips in 2017. It appears that the network is due for several long-running series to end, which could realistically be Criminal Minds, Hawaii Five-0, and/or Elementary by May of next year. These three series are entering their thirteenth, eighth, and sixth seasons, respectively. Criminal Minds has been tapping criminals since 2005, which makes it CBS's second longest-running series on the air after NCIS. It wasn't included in the early mass renewal last year due to ongoing negotiations between CBS and ABC Studios, which is one reason why this show always has the high possibility of being canned: costs. There have been some cast shake-ups in recent seasons, with Shemar Moore leaving and Paget Brewster returning, namely, but that drama isn't as significant as it is over in Hawaii. It's maintained as one of CBS's stronger drama performers, but it has seen some sharp year-to-year declines, and now it moves from 9pm to the 10 o'clock hour. It seems that CBS is slowly phasing it out, but will it end its run on Wednesdays or will CBS wait and retire it for another season on Fridays or Sundays? It's really not an Elementary that makes CBS syndication money, nor an NCIS: LA that is a venerable franchise show (in fact, it has failed to generate a franchise), so it's quite possible that a move to another night is not a redeeming strategic option here. Hawaii Five-0 has been a respectable performer on low-viewed Fridays alongside its companion show Blue Bloods, but it faces rising costs and the controversial departures of co-stars Daniel Dae Kim and Grace Park over salary inequality disputes. Whether or not their absences in the show affect the ratings in 2017-18, Alex O'Loughlin has expressed a desire to leave after Season 8 of the series. Losing three of its stars in a matter of a year would be troubling for the show, and it wouldn't be surprising if this is its last go. Elementary hasn't been a strong performer for CBS in its last couple of seasons, and it was nearly the lowest-rated show on the entire network just last year, averaging a pitiful 0.64 demo rating on Sundays at 10. However, its $3m/episode syndication deal is extremely valuable to CBS, so they continue to capitalize on its odd profitability despite low first-run ratings. It's always looked weak enough for cancellation despite its syndication deal, so is the end of Season 6 finally going to be its curtain call? Probably, maybe - who knows? It has never failed to surprise us. CBS has been heavily promoting its new span-of-a-life comedy, Me, Myself & I, starring Bobby Moynihan, John Larroquette, and Jack Dylan Grazer as three versions of the same character. Despite an original-sounding concept, it has the unfortunate business of airing without much lead-in support. Sure, it'll get some eyes in the few weeks where The Big Bang Theory kicks off the night, but it's airing at 9:30 and those eyes will have to continue watching 9JKL and Kevin Can Wait before they get to this one. Post-NFL it'll move up half an hour and follow 9JKL. Unless Leah Remini brings an unforeseen amount of heat to the Kevin Can Wait ratings, or 9JKL really blows up with its Big Bang exposure, I foresee this singlecam having a rough go on a multicam-dominated Monday. Thus, Matt LeBlanc may be on TV sooner than expected with the return of Man with a Plan. As it stands, the sophomore comedy has been scrapped from airing in the fall in order to give three new sitcoms a shot, along with the second season of Superior Donuts getting a better chance to grow. CBS might be testing how much they need Man with a Plan by benching it, but if they have any desire to get it to syndication without much fuss, it'll likely be looking to slide in to one of the new comedies' time slots. At this time, Me, Myself & I looks especially vulnerable, but only time will tell. 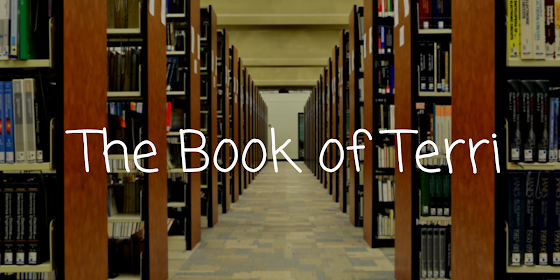 Keep in mind that another new comedy, By the Book, waits on the sideline as well, so nothing can be too safe. The military drama is in trending supply this season, whether or not the demand is there. The CW is airing Valor, NBC is airing The Brave, and CBS is airing David Boreanaz (also referred to as SEAL Team). The trend last season appeared to be time travel dramas, but only one of them made it to a second season (after being cancelled first - hey, Timeless). Does an abundance of dramas with a similar theme make it harder to stand out? Maybe. 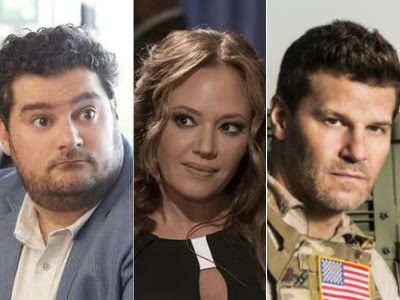 CBS's shot at tapping into patriotism is with SEAL Team, led by a successful and recognizable TV star in Boreanaz, who comes directly off of 12 seasons of Bones. CBS pushed Criminal Minds to the end of the night in order to give this new drama the Survivor lead-in, which should give it a solid chance of catching viewers. Luckily, its positioned against comedies on ABC, a soap on The CW, and a musical drama on FOX. It must face the beast of Law & Order: SVU, but Criminal Minds has been managing that for a long time. In a sense, SEAL Team looks to be CBS's best chance to generate a hit new drama (arguably, Wisdom of the Crowd has a nice time slot as well), but it faces the risk of being one of three similar dramas on television this fall. Whether or not this one succeeds is important for the network's development slate, considering S.W.A.T. isn't getting quite as generous of a time slot on Thursdays at 10. The CBS Renew/Cancel Watch returns next week. Here's a poll to let me know what the readers of this column plan to watch on CBS this season.